This week, Business Planet is in Helsinki, at the headquarters of SITRA, the Finnish Innovation Fund. It's the next generation of paper. It's environmentally-friendly, recyclable, renewable, and it's really durable. So, that's the reason why we are replacing plastic with our material. Plastic pollution is one of the biggest threats to the environment. Each person in the EU uses up to 200 plastic bags a year. But only about 7 % of these bags are recycled. The upcoming EU Plastic Strategy will help improve recycling in Europe, cut marine litter, and remove potentially dangerous chemicals from the environment. The need to boost and improve recycling increases the demand for innovative and green solutions and creates new business opportunities. Timo Mäkelä is senior advisor at SITRA. His mission is to boost green jobs created by entrepreneurs committed to protecting the environment. One example of a company that is betting on the green economy is Helsinki-based SME Paptic. It has developped an innovative solution to fight one of the worst environmental scourges on the planet: plastic bags. In a business-as-usual scenario, by 2050 oceans are expected to contain more plastics than fish. The worst offenders are plastic bags, which we all use: 200 bags per year per person in Europe. Only 7% are recycled. Paptic has developped a new material made of wood fibre and small amounts of bioplastic, which can be used to make sustainable bags. And there’s another advantage: the technology can be used on existing production chains. In order to develop, the company has raised hundreds of thousands of euros, mostly venture capital. It also has the backing of the European programme Horizon 2020. “It allows us to grow faster. It allows us to use more experts, for example in engineering, in building the plan for our next machine, to scale up the company and scale up our product, and replace plastic bags quicker,” says Tuomas Mustonen. 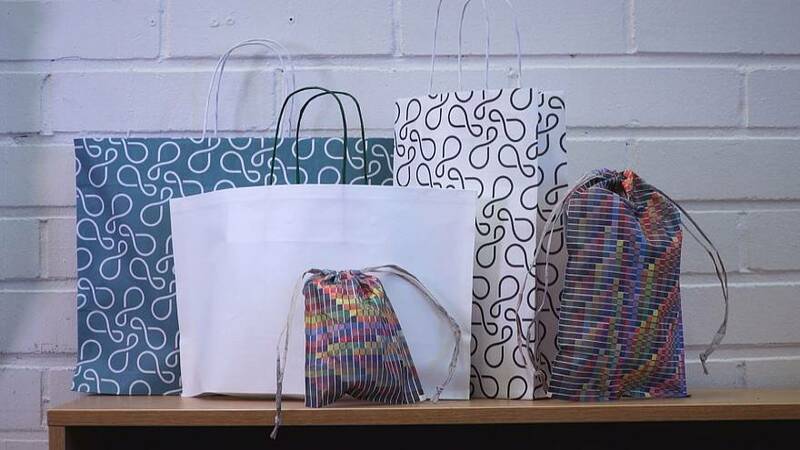 The incentive to develop innovative and greener alternatives was boosted by a European directive introduced a couple of years ago requiring member states to reduce the use of plastic bags. And Finland is showing the lead, according to Timo Mäkelä.